Replacing your roof is one of the costliest home upgrades you will make. The good news is if you make the right roofing choice and stay in the same house, it could be a once in a lifetime purchase. And if you sell your home, a quality roof with the right warranty can add value to your house and you could get back some of your investment on the sale. The price range for roofing can be from a few thousand dollars to over one hundred thousand dollars. 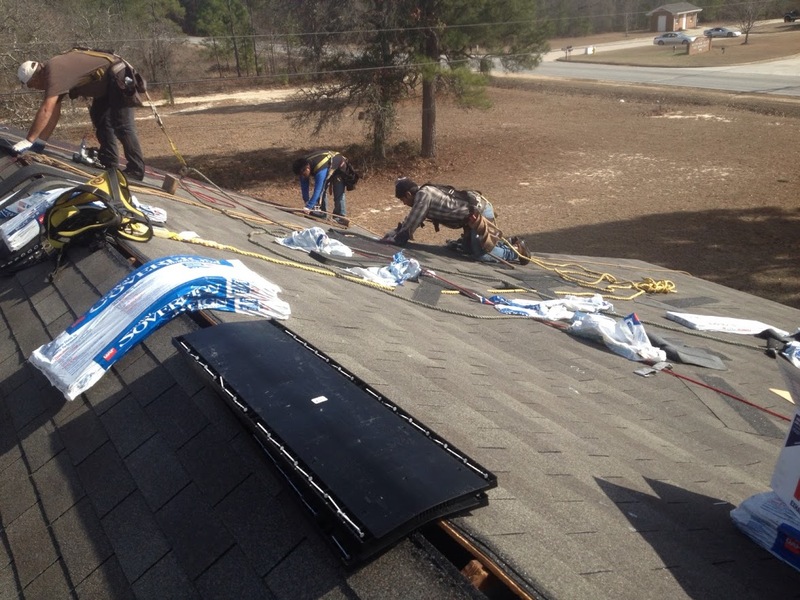 The average cost to install a shingle roof in Macon and Warner Robins for us last year was around $10,200. There are several factors that go into the cost to install a new roof. The most expensive roofing materials are Slate, Tile, Metal, and Copper. The most affordable and common roofing material is asphalt shingles. Even within each material type there is a high end range and a low range. We offer free price quotes so don't hesitate to contact us. When we look at a roof the first and most important factor to the cost of the new roof is the size. 80% of the roofs we measure are done using a special program that takes measurement from aerial pictures. This is very accurate and much safer than crawling all over a roof, especially a steep roof. We then calculate the number of squares on the roof. A square is a 10x10 area or 100 square feet of roof area. You can get a rough estimate of the roof area on your house by taking the square footage of the foundation, add the square footage of any garages and porches that are covered by the roof, then multiply that number by 1.3. Once the number of squares on a roof is determined, we can then calculate how much material we will need. The next step is determining the time it will take to do the project. The two main factors are the pitch and the current condition of the roof. The pitch, or slope, of the roof is the rise over the run. It is measured in inches and is the number of inches the roof rises over the number of inches the roof runs along the horizon. It is measured at 12" horizontal increments. The most common roof pitch is a 7/12. Meaning the roof rises 7" for every horizontal 12" of length. Most people can walk on a 4/12 to 6/12 roof pitch. With a little practice, a 7/12 and 8/12 pitch is walkable. Once over an 8/12 pitch it take some real skill. A couch cushion is commonly used to help grip the roof so the roofer doesn't slide off very steep roofs. As you can imagine it is much harder to work on steeper pitches. 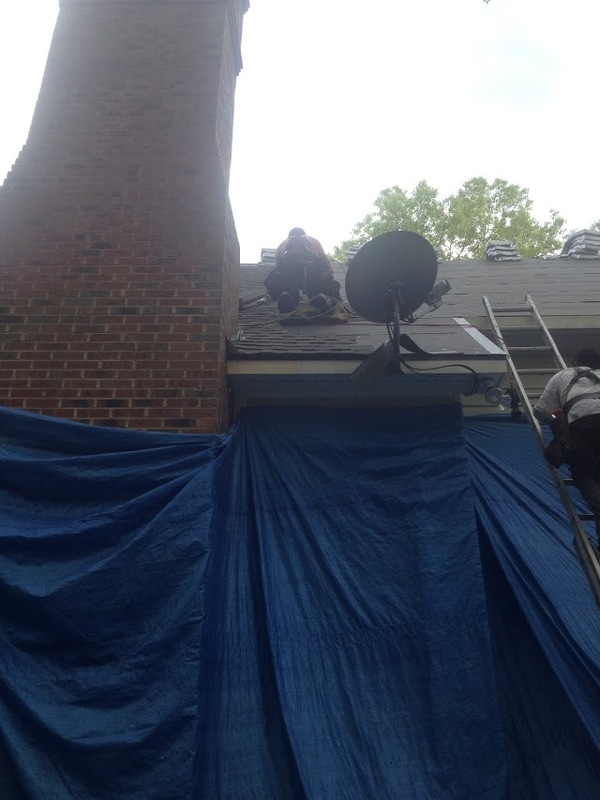 The second biggest factor in the time it will take to complete a roof is the current condition of the roof. 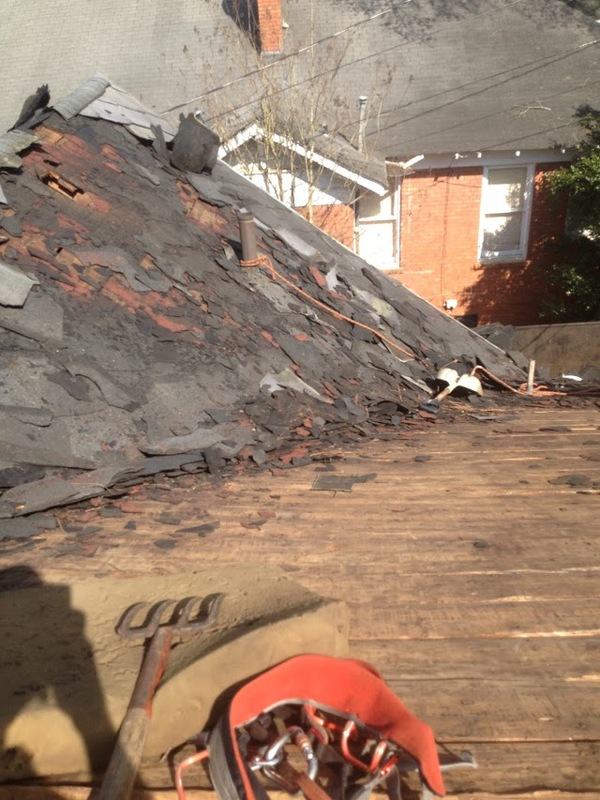 Typically most homes have only 1 layer of old roofing to remove. If the old roof was installed over osb and the roof is not too old, the tear off on a low pitch can be quite easy. However, get an old house with 2 or 3 layers of shingles over some old wood shakes and you have the worse case scenario for a roof tear off. By code, you cannot have more than 2 roofs on your house. So removing an old roof with multiple layers can add significant time. It also cost more to dispose of the old roof debris. If you are interested in Metal, the cost is typically 2 times the cost of asphalt shingles. Slate and Tile can be up to 3-5 times the cost of asphalt shingles.